In partnership with the National Trust team at Belton House we have exciting plans for Londonthorpe Wood and the eastern side of the Belton Estate, referred to as Bellmount, which will see this natural playground being significantly enhanced to provide wider appeal to existing and new user groups. In this role you will have the opportunity to utilise your communication and people skills to work alongside other volunteers at events, to engage with the public and support event delivery. 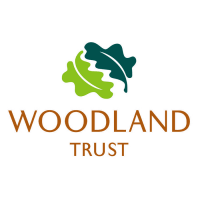 You will be using your natural enthusiasm and your passion for nature to help us engage with the public within our project area at Woodland Trust and National Trust events, to encourage people to become engaged with the Woodland Trust and National Trust’s work and to learn more about Bellmount. We will also ask you to register as a volunteer with the National Trust for this role. This is a Heritage Lottery Funded project. This role is best suited to someone living within 30 miles of the site.